One of the best features offered on Gmail's Inbox app is Snooze. Snoozing an email removes it from your inbox for a pre-selected period of time. This way, if someone borrows your phone, they won't be able to access it. It also allows you to focus on things that you need to do now, while briefly removing emails about future tasks from your inbox. 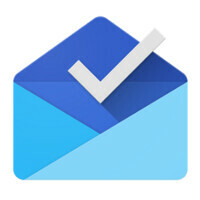 Gmail has added two new options to Snooze that improve your ability to manage your emails using the Inbox app. Now, you can have your email on snooze until "later this week." The second new Snooze option is "later this weekend." These two new options join the current choices of "Later today," "Tomorrow," "Next week," and "Someday." If you don't want to be bothered by work related emails during the weekend, you can set Snooze to hide your emails until Monday morning. You can even arrange to have the emails return to your inbox when you walk into the office with the start of a new work week. With the new Snooze UI, you can easily select specific times when you want your email to return to your inbox. If snoozing your email is a feature that would improve your business or your personal life, download the Inbox app by clicking on the sourcelink. GUYS!!!!! I have just tried S7 edge today at Saturn (local store in Germany) IT IS AMAAAAAAAZING AND THE FEELING IN THE HAND IT'S JUST...... VERY COMPACT AND COMFORTABLE TO HOLD !!! I can't believe how small it is when i compared it to my iphone 6 plus there although both are 5.5 inches! And i gotta say, the Black color is CLAAAAAAAS and luxurious looking! Bye iPhone, it was a great/painful journey since September 23rd 2013 ! I was reading a article that people would rather have an S7 than a new boyfriend/girlfriend---must be great! Hmm I thought this article was about the Inbox app. Must've missed something.